We know that you depend on water. 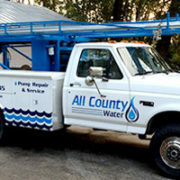 If you have a problem that requires pump repair or need an inspection of your well or water system, we are here to help. Whether you need your water pump repaired, a new well dug, or a new filtration system put in, you can stop looking because our expert crew is here to help! We have the equipment and experience to make sure that your job is done right the first time around. You will see a difference in quality and service if you choose us! Generations of family members have been in our well drilling business. Expert licensed and insured well contractors are here to assist you with your needs. Everyone is different and everyone’s water system is unique. 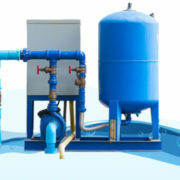 We will fit your water filtration system to your needs to ensure safe and quality water. 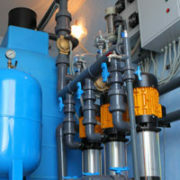 Water system problems are often unpredictable. If you have no water in the middle of the night we are here to help. We provide 24-hour service. Contact All County Water Today! rust our 24-hour services and repairs for all of your water emergencies. We are licensed to drill in Florida and carry full coverage insurance. We are committed to providing you with high quality service and water. 24-hour services are always available to you when you work with us. We operate on the principles of honesty and integrity. Our experience and values ensure you will always be highly satisfied with our team.